As you might know, I’ve put together a charity anthology supporting the Cancer Research Institute. 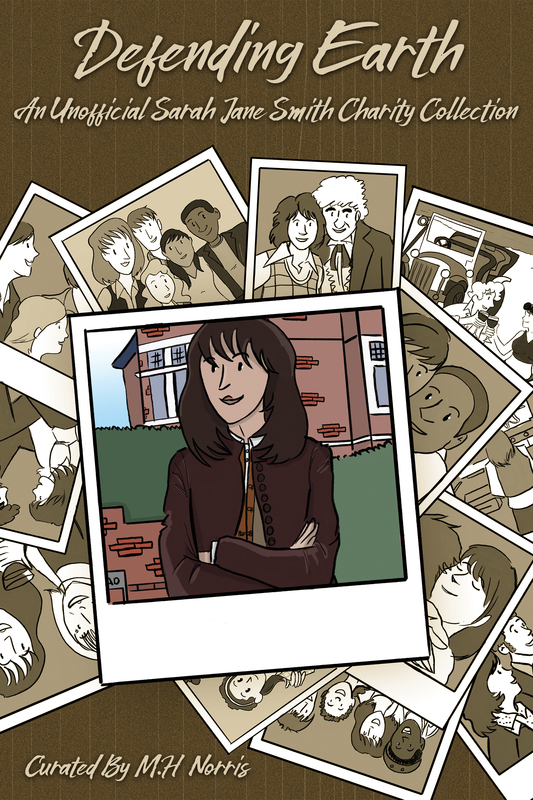 As the collection is in memory of Elisabeth Sladen (one of my favorite people in the world and my hero), the collection is a celebration of Sarah Jane Smith. Featuring some of 18thWall’s favorite authors such as Jon Black, Kara Dennison, Joshua Wanisko, Anna Maloney, William J. Martin, and Sophie Iles (as well as me). I took the time to interview the authors about their stories, and why Sarah Jane means so much to them. What set a six-year-old Sarah Jane on the path she’d follow all her life? In a feature-length adventure, can Sarah Jane and the Doctor save London from disappearing in a morass of every possible London? In an independent investigation, can Sarah Jane discover who is murdering 60s pop stars—and when an 80s musical is put on about her life, can Sarah Jane get to the bottom of who’s putting on the show? All this and killer moths, the music of universal spheres, and stories especially exploring each of the Bannerman Road kids. Which Sarah Jane story (any medium) is your favourite, and why? There’s so much out there! But “The Curse of Clyde Langer” from The Sarah Jane Adventures is one of the most gut-punchy stories ever. It approaches a very real fear for anyone, but especially for the demographic the show is pitched to. I also recall thinking how brave it was to have Sarah Jane be equally susceptible to the curse – it’s a reminder that she’s a hero, but she’s human, which makes her overcoming these situations all the more amazing. 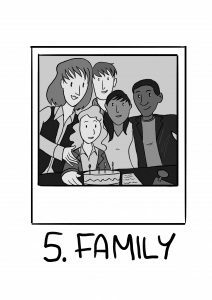 “The Sparks” combines two things I enjoy: writing from a child’s POV, and my personal theory that every companion has one event in their lives that primed them to accept the Doctor’s invitation. I can’t see Sarah Jane as not being curious and clever and drive at any point in her life, and imagining how that would play out when she’s a kid was a lot of fun. What is your favourite part of your story and why? I don’t have a specific scene or moment that’s my “favorite.” Anything where I got to speculate on how aspects of the Sarah Jane we know and love would have begun, really. Anything where she played at being the intrepid investigator she’d end up being. Why do you love Sarah Jane? The role of the companion, at its best, shows that literally anyone can be a hero. Nurses, teachers, temps, medical students. Every skill set is valuable – it’s about who you are and what you do with it. I’m a journalist by day to pay the bills, so coming back to Sarah Jane’s stories years later and seeing a fellow journalist saving the universe is inspiring. She’s not the one and only companion I relate to, but there’s something about seeing one of your own onscreen that makes you kinda proud. My favorite Sarah Jane story is Planet of the Spiders (Sladen/Pertwee) with Pyramids of Mars (Sladen/T. Baker) a very close second. Of course, these are among the finest stories in Dr. Who cannon in their own right. They also present Sarah Jane at her best and most compelling: smart, pragmatic, determined, inquisitive, and, above all, humane. In “Swinging Londons” the space-time surrounding that great city has become dangerously unstable, swinging rapidly between alternate possible versions of itself. As UNIT cordons off London and struggles to prevent dragons, Black Shirts, Mole People and other threats from spreading to the rest of Britain and the world, Sarah Jane and the Doctor travel into the heart of the disturbance seeking its cause. After she and the Doctor are separated, Sarah Jane must navigate dozens of alternate Londons while searching for the Time Lord, acquiring a strange companion of her own, and encountering someone she never expected…all before the small matter of saving her London by ending the instability. While the story allowed me to delve deeply into my historical fiction and alternative history addictions, the true joy of writing “Swinging Londons” came from exploring the relationship between Sarah Jane and the Doctor: specifically, the complicated and sometimes ambivalent emotions even an exceptional human would experience having a best friend and companion who is not only effectively immortal but possesses abilities which often seem to knock at the door of omniscience and omnipotence. While Sarah Jane is an ideal “everyman” to bring viewers along on adventures in time and space with the Doctor, she is so much more than that. The adjective “plucky” is, admittedly, cliché when referring to British heroines of a certain time period. That doesn’t mean it’s not a perfect characterization of Sarah Jane. With her resourcefulness, common sense, perseverance, and compassion Sarah Jane epitomizes how, in a universe full of ostensibly much more formidable creatures, humans manage not only to survive but thrive. I love Invasion of the Dinosaurs. It was one of the first Sarah Jane stories I ever saw, and I was cheering for her when she just straight up walked out of the “spaceship” propaganda room. She’s so quick to see through a villain’s nonsense and take charge of each situation, and I really respect that about her. 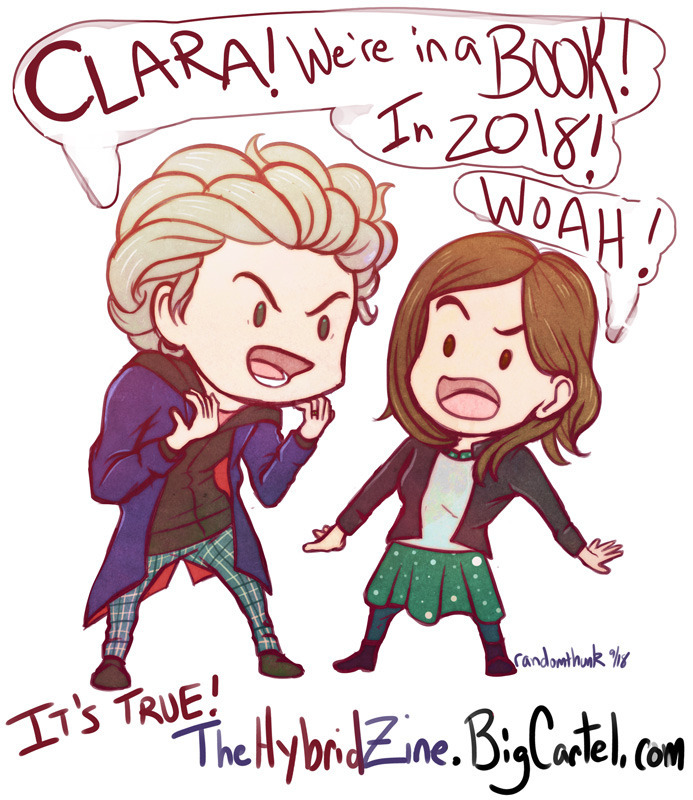 My short story “Flow” sees the fourth Doctor and Sarah Jane landing smack dab in the middle of sky-world revolution. As the Doctor is captured alongside rebel moth lady Arren, Sarah Jane becomes forced to team up with Jianna, Arren’s lifemate, in a race against the clock. It’s a very action-packed tale of love, loyalty, life and death! I very much enjoyed writing Sarah Jane using her journalistic skills. Jianna, her alien companion in this story, has never seen a human before and is almost too panicked to speak. I loved writing the scenes in which Sarah Jane uses her compassion, her perseverance, to stay by Jianna’s side and to piece together just what’s going on. Aside from Lis Sladen’s incredible acting? I adore how true Sarah Jane always is to herself. She truly believes in the things she stands for. But she’s not perfect, of course. No one is. Sometimes she can be manipulative, or selfish, or overly stubborn. Sometimes she needs to re-examine her own ethics. It’s fantastic how all of her stories — on TV, in audios, books, comics, and so on — have given her so much space to become a complete person. It’s been an honour writing for her and I hope that this book will bring joy to all her fans! I can’t say all of The Sarah Jane Adventures, because that’d be cheating, so – I think it has to be Pyramids of Mars. With its mad god, dark Doctor and murdered guest cast, Sarah Jane is the human at the heart of this story who makes it mean something. Her verbal sparring with the Doctor is a delight, but its her wide-eyed horror at the ruin of 1980, her patience with poor, bewildered Laurence Scarman and her fearless resolve as the stakes get ever-higher that really stands out. This is one of those stories that shows you why Sarah Jane’s not just the Doctor’s companion – she’s a hero in her own right. “Cuckoo Clocks That Work” is about a time machine powered by regret and the planet caught in its wake. 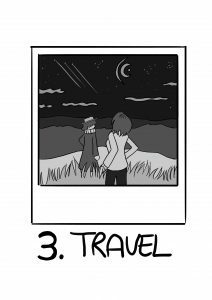 I wanted to explore what Sarah Jane might’ve been thinking as she nears the end of her time with the Doctor, and see if I could bring out some of the characteristics we’d see years later in “School Reunion,” so I zeroed in on the idea of learning to let go of the past. Of course, I also wanted to write something that felt true to that era of the show – so there’s ruined cities, dark corridors and a Faustian pact with some suitably out-there aliens. I think my favourite part of my story is the climax, where Sarah Jane saves the day. She’s a fundamentally compassionate character and, particularly in this day and age, it’s liberating to write someone who’s like that. Also who doesn’t love a standoff in a big, weird spaceship? I love Sarah Jane because she exemplifies that Dr. Who ideal of courage not meaning fearlessness, but taking action in spite of fear. She feels profoundly human, not in the sense that she’s in opposition to the strangeness of the Whoniverse, but rather that she’s always seeking to find her own place – and her own identity – within it. Inescapably, Nick Setchfield’s “The Skies of Always.” The way it shows such depth in such a short space is inspiring. Not only that we see Sarah Jane and the Doctor’s friendship in its full flush in a few hundred words, but it’s a remarkably touching look into the character of Sarah Jane. Very few pieces of fiction have made me cry, even fewer can make me at least tear up every time. “The Skies of Always” is one of them. Something outside our cosmos is eating nearby universes. The Doctor comes up with a characteristically dangerous plan to save them – dumping his TARDIS’ internal space and time into the extra-universal space to let the universes drift out of the way. It’s up to Sarah Jane to venture deep into the TARDIS, reversing the process at the ultimate moment. All the while, the Doctor and Sarah Jane debate what to call a collective group of universes. While dashing through the TARDIS, Sarah Jane comes across an artist’s workshop. Implicitly, she’s found the computer painting room. Computer painting is referenced, off-hand, in The City of Death. The Doctor dismisses it to build-up earth art. Along the way, I feel like we’ve uncritically accepted the Doctor’s very biased opinion (on this, and many other things). Can we really trust the word of a man who never realized the Mona Lisa hasn’t got eyebrows? I think not. So as Sarah Jane stumbles upon this room, I wanted to show the full brush of wonder and majesty that can be found in “computer painting.” What if there was an art where there was no separation between the medium and the art, and colorran free? Sarah Jane finding herself confronted by this, and free colors, is something I’m proud to have written. And that ending! The ending is one of my favorite things I’ve written. I love her because Elisabeth Sladen put so much into Sarah Jane Smith that she all but came alive. Everything I love about Sarah Jane, I love threefold in Sladen. She was a spectacular, special person. If you had asked me this question five years ago I probably would have answered The Ark in Space. I think it was my first Sarah Jane story, and one of my first Doctor Who stories. Despite the fact that she was introduced as a companion to the Third Doctor, I tend to think of her almost exclusively as a companion to the Fourth, and I associated her as a foil to his crazy energy. Now, however, I appreciate the older Sarah Jane more. “My Sarah Jane!” from School Reunion might be my favorite line from the whole of the modern series. It is the early 1980s and musical theater is all the rage. There are musicals about cats, about Technicolor dreamcoats and steam engines on roller skates. And one about the life of Sarah Jane Smith, roving reporter. Sarah Jane must investigate the mystery of who has written a rock opera about her travels with the Doctor. Although I didn’t deliberately set out to emulate his style, my favorite kind of Doctor Who story is something like Big Finish’s recent Muse of Fire by Paul Magrs. His writing is the perfect mix of silly and sincere. There is abundant silliness in “Sarah Jane, Superstar! between rapping Cybermen, tyrannical community theater directors and clueless starfish aliens, but at its core it’s a story about how Sarah Jane touches the lives of those around her. Because she was allowed to grow old. I particularly enjoy the latter day Sarah Jane of the 21st century, in stories like “School Reunion” or the Sarah Jane Smith audios and television series. She’s an elder statesman of the companions and a mentor to a new generation. My favorite Doctor-companion paring is Ace and the Seventh Doctor, in large part because he helps her become the best version of herself. The same is true with Sarah Jane. She understands that this is no longer her story in the way it once was, but she will do everything she can to help the next generation become individuals capable of overcoming any challenge they may meet. Probably The Ark in Space because the squad of Four/Harry/Sarah Jane is brilliant. But also The Android Invasion for evil robot!Sarah. Well, because I hate myself and am terribly predictable, I wanted to tell the story of what happened post Downtime. As a Victoria Waterfield fan it was both lovely but painful to witness a character you adore be unintentionally turned into a villain. Not to mention other characters you love just abandoning her to the aftermath of her actions. So my story takes place after all that with the Brigadier and Sarah Jane feeling guilty for what they’ve done and trying to right their wrongs. All the while, Victoria is having to deal with what she’s done and that’s not going well at all. All three are looking for penance for different reasons that all involve each other. It’s sort of sad. But hopeful in the end, I hope. What happens with Victoria towards the beginning. Because she managed not only to deal with UNIT’S nonsense, the 1970s’ nonsense, Three’s nonsense, Four’s UTTERLY FRIGHTENING nonsense, and the K-9 and Company opening. The woman is a god. Which Sarah Jane story (any medium) is your favorite, and why? The Sarah Jane Adventures serial “Lost in Time.” I think part of it is they so rarely used time travel in The Sarah Jane Adventures, so they really made the most of it when they did. Rani and Lady Jane Grey’s interactions were touching once Rani realised how little time she had left, as was Sarah Jane’s struggle to save the children, and I loved the idea of the past being haunted by the future for once. The linking story isn’t bad either. The set up might be a tad forced but the mysterious parrot and his shopkeeper, left teasingly unexplained, more than make up for it. It has Sarah Jane and Romana meeting while they’re at similar points in their lives – Sarah Jane has yet to find her place on Earth and hasn’t had closure with the Doctor, while Romana’s newly returned from E-Space and refusing to think about her future due to reasons that anyone who remembers Big Finish’s The Chaos Pool might be able to guess. Maybe dealing with a parasitic alien invasion together will help? The part where Romana gets ever so slightly possessed and responds in her usual fashion – pretending she’s entirely in control of the situation until she actually is. It was the easiest part to write. I’ve loved her ever since I saw “School Reunion” – I’m sure being an owner of a K-9 helped endear her to my ten-year old self. I then grew up watching The Sarah Jane Adventures, so it was only natural to be fond of her. It was also so refreshing to have an older female protagonist who still gets to be a hero, I hope she’s one of many to come. K-9 and Company. Without a doubt. She may not have her name in the title, but she’s the real reason to watch. The whole thing feels like a Third Doctor throwback, with its rural villages and themes of folk horror. Yet, it’s Sarah Jane who unravels the plot, doing what she’s best at, long before the robot dog shows up. My story is set during the Sarah Jane Smith audio series from Big Finish Productions. 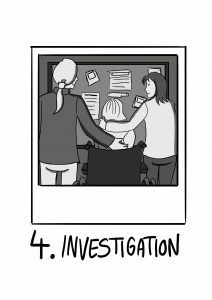 Sarah is working as a freelance investigator, helped by her partners in crime, Nat and Josh. 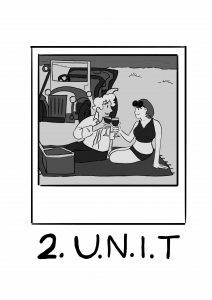 The three learn of a curious military base in upstate New York, which seems completely deserted, yet continues to expand throughout the local area. There, they encounter an old enemy, and learn secrets which echo through the audio series itself. Anyone who read Sophie Iles’ recent anthology, Mild Curiosities, may also find the four fantastic figures – who have just as much interest in this base as Sarah Jane does – to be more than a bit familiar. A unique part of the Sarah Jane Smith audios is how much colder Sarah Jane seems to be. She’s still the same person we see on television, but this is a completely different stage of her life. Half her time in the audios is spent working under false names, and moving between apartments while she investigates various sources of intrigue. Her dynamic with Josh and Nat is perhaps the most straightforwardly adult set of friendships we see in all of the wider Doctor Who world. Any point where the three of them are together and interacting is my favourite part of this story, both to write and to read. Sarah Jane Smith is a rare character that transcends a list of standard traits and flaws. She has, over the years, grown a rich personal timeline. She has distinct phases in her life. Her circumstances change, and yet she is still visibly the same person. The woman in the Sarah Jane Smith audios can clearly be found in her first few moments, way back in The Time Warrior. All that, and we’ve yet to even touch on just how rich that woman is. She’s driven, intelligent, and stubborn. If the modern series prides itself on likening its companions to the title character, it’s nothing new. Sarah Jane Smith was beating Dr Who at his own game over forty years ago. I actually did two for the collection – not a goal I set out with in mind, but loved doing. “Gifts For Good” is a story set during The Sarah Jane Adventures, and focused on Luke. I took advantage of our ability to use the Brigadier, and also wrote Jon Pertwee’s Doctor in the process. What happens when a group of psychic entertainers start to make very real predictions? For “Full Circle” it was allowing Maria and Sky to meet for the first time. In “Gifts For Good,” there’s this part where the Doctor talks to Luke about bullies. I was nervous writing it because I wanted to capture these characters and I think I did a marvelous job. As I wrote a very, very long introduction about this I’ll try to stay brief about my Love for Sarah Jane and Lis Sladen (for once). I feel like I’m a lot like her, and because of that she is someone I aspire to be like. Hardworking, determined, invested with an amazing sense of justice, compassionate… plus I also love finding someone else who struggles with the double name thing as much as I do. “Warriors of Kudlak” from The Sarah Jane Adventures was always my favourite story. It was a bit of a silly episode but, to me at least, it was really good fun – and that’s really the only reason why I like it so much. Growing up with the show, I always hoped it would be the one they would show when episodes were being repeated. The only downside of the episode was that it gave me an unrealistic idea of what laser quest would be like so I ended up being disappointed when I finally got to give it a go! Other stories that I really like are “The Wedding of Sarah Jane Smith” and “School Reunion.” Again, there’s no real reason for this other than them being fun and just enjoyable to watch in general. Inspired by my bad habit of buying alien conspiracy books and crop circle guides whenever I go into my local charity shop, “The Circles of Drel” is a typical crop circle and UFO story – with a twist. While practising journalism, Rani stumbles across a story in Wiltshire. A teenage girl has gone missing, and the appearance of crop circles and lights in the sky has caused the locals to believe that there could be alien involvement. Sarah Jane is sceptical of this – in her experience, crop circles are always fake – but Rani convinces her to investigate. With Clyde remaining in London to do his homework, Sarah Jane and Rani travel to the small town where the girl vanished and begin to try and find out the truth of what happened to her. Either the start when Sarah Jane and Rani discuss what people claim to be evidence of crop circles because that was really interesting to research, or when it’s revealed that the Drel are just joyriders. I think there’s something amusingly charming about the idea of aliens that don’t care about our existence and just want to use our planet as a fun racetrack. I was introduced to Sarah Jane when she returned to Doctor Who in “School Reunion” (an episode that is still one of my favourites). I had read about her in Doctor Who Guide books and I was fascinated to see a classic companion return to the show. Because of this, The Sarah Jane Adventures really excited me when it came out. I can still distinctively remember watching the pilot episode, as well as hurrying to the TV whenever new episodes were airing. She became an undeniable part of my childhood, as did the other characters in the show. For me, it will always be “School Reunion” as this was how I first discovered her. This tenacious woman, a former companion of the Doctor. I remember watching the care and affection between her and the Doctor, how sad she was to be left behind and I barely knew her history then and I could feel all of that through the performances alone. It is one of the things that made me fall in love with the series. My story is set during Sarah Jane’s later years whilst she lives on Bannerman Road. Clyde Langer is attending open days to study illustration but he and Sarah Jane noticed that this university isn’t all what it seems. Who is the mysterious grey haired man and who is his prisoner? Sarah Jane gets her buttons pushed and she threatens someone she probably shouldn’t have. For me writing these characters have been such a delight it was easy to get carried away and write more and more. That particular scene always gives me a thrill to think of it. I love that Sarah Jane has a tremendous range of emotions. She has grown as a character as she has aged to be so much more than I think anyone ever expected her to be. She’s not just a journalist: she’s a fighter, she’s a mother, she’s a friend. She’s anything and everything you want her to be. Which sarah jane story is your favourite and why? Well, i haven’t yet read all the books & comics she appears in, but i really love her in Interference, especially how she genuinely tries to connect with and understand the Ogron. And her developing relationship with Sam, how she’s ready to take care of her until she can returns to her family. She’s also a very independent character in that book, spending most of the time solving the issues on her own while Eight is out of action. As for other stories, I know it’s cliche, but The Hand of Fear is a great Sarah Jane episode, and her departure scene just gets to me every time. Tell us about you story? In one of the Short Trip anthologies, Sarah Jane gets a granddaughter called Lily, who is autistic. 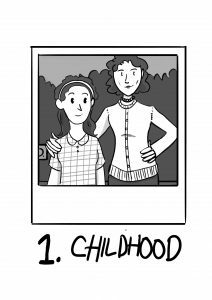 Sadly that story isn’t really good in its representation of autism, and as I am myself autistic, I wanted to write something about an older Lily, going through her young adult life and still getting mixed into her grandmother’s alien adventures. Sarah Jane is in her 90s by that time, and Lily has just moved away to start her studies. They communicate via emails. Lily is adjusting to her new surroundings and life, until Sarah Jane asks for her help in an alien matter. Getting to write about Lily and her autistic experiences was something I really enjoyed, and which helped me to put words on some of my own experiences. I also managed to include Rani in it, and I’m very happy about it, because Rani is one of my favourite parts of SJA! I don’t really know how to put it into words quite frankly, but Sarah Jane is one of those companions that just pops of the screen! Elizabeth Sladen always brings so much life into her character, and she’s a companion you can absolutely believe has had a life before the doctor and is going to continue her adventures long after their last encounters! I always love it when a characters is well developed and three dimensional, and Sarah Jane is clearly one of those. That is quite hard to describe in just a few words. And I think that makes her and her story very interesting, because there is lots to explore, to make her grow and evolve, as she can fit in so many different type of stories.